Keep your Teamgate sales CRM database superbly organised and find all necessary information quickly and simply. Using CRM segmentation, customisation and filtering find what you want fast, and simply. Searching for the right information – Teamgate offers a solution which allows you to filter lists of contacts based on a number of search criteria. To get the most out of this rich solution, you can additionally create custom fields, add tags and create sales segmentation groups in your contact management database. Your productivity can be vastly improved through finding, and using the relevant CRM data you need when you need it. To accommodate various types of businesses, we’ve created a custom fields function. This allows you to enter customised and personalised information for each customer. Fields can be pre-made or created as needed in your CRM database system. 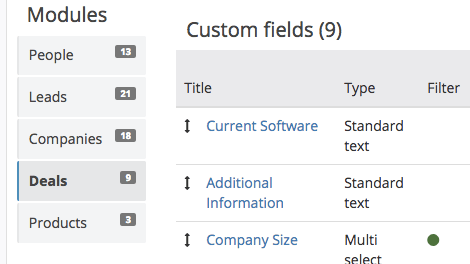 The number of custom fields is not limited and it’s up to you to choose if the new fields are shown in the lists and filters. In case you are planning to store confidential information, it is possible to restrict the visibility of certain fields. To match your business needs, with Teamgate you have the facility to use tags when organising your leads, contacts, companies, and deals. By using tags you ensure better organisation of your CRM database, as well as providing and facilitating a much better search and filtering experience. 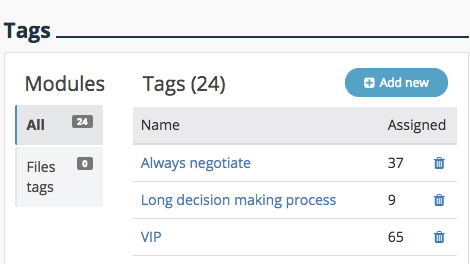 You can also employ tags as part of your sales segmentation process – putting your contacts into various distinct groups; genger, purchasing power, age group, interests, etc. 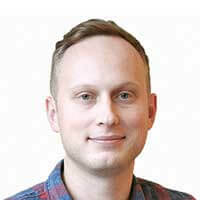 To better organize and manage entries within your sales database software, Teamgate recommend that you make use of the statuses and stages function. 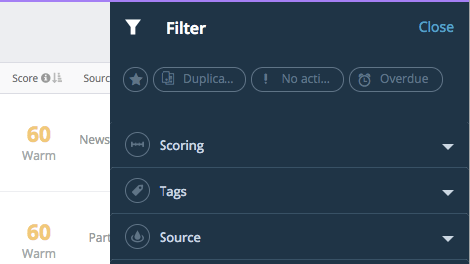 Statuses are assigned automatically to help you keep the database neat and trackable. 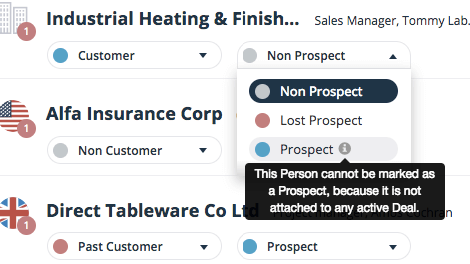 For example, every new lead is assigned with a status ‘New’, contacts with active deals have the status ‘Prospect’, and after a deal is won, the contact or company is immediately assigned with the status ‘Customer’ – keeping your CRM data up to date and in shape. You may also use CRM segmentation to define lists even further.